This lesson is an easy and fun one, right? How about Practicing NOW to make sure that you understand this lesson well? What is the weather like, today? Listen to the pronunciation many times then repeat it. Read More: What are the differences between need and want? 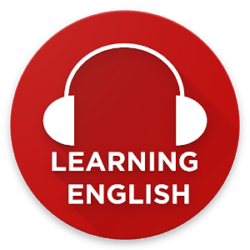 Do you want to learn the English language online from A to Z? Today, you will learn the difference among 3 important phrasal verbs which are look at & look for & look after in the English language..
Read More: What are the differences among See, Watch and Look? Can you look after my baby? I hear he is looking ___ a job. This is very valuable. Please look ___ it. Could everyone please look ___ the lost keys? My sister looks ___ the kids on Sunday. I'll see you again. Look ___ yourself. Look ___ those lovely dogs over there. Today, you will learn the difference among 3 important words which are There, They’re, Their in the English language..
Do you know what ___ phone number is? If you look over ___ you can see the sea. Are ___ coming from London? Our neighbors have bought a second car. ___ new one is red. Is ___ dog a husky?